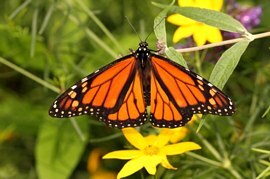 Assisting Mother Nature with automatic sprinkler systems, landscaping and lawn maintenance. 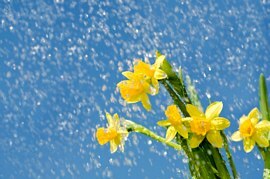 Schedule your rain showers and put away the garden hose! Will an automatic sprinkler add value to my home? Yes, it's a good investment since a home’s appearance is a key factor in determining market value. Will an automatic sprinkler system use more water than I am currently using? No. 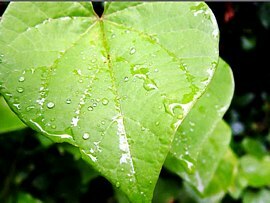 Nature's Own sprinkler system will conserve water and pay for itself just in the money you save on conserving water (when watering by hand, 50 percent of the water used is lost by runoff and evaporation). 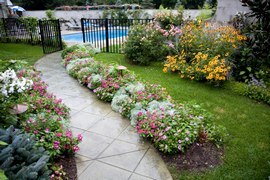 You will never have to worry about runoff from over watering or about wasting water if you forget to turn off the hose. Plus, with a moisture sensor your system will know when it is raining and simply turn itself off when water is not needed. Does having a sprinkler system really save time? Yes. -- You won't have to spend another minute of your valuable leisure time watering the lawn. Your new system will do all the watering for you - even when you are away from home! Will an automatic sprinkler system water as well as I do when I water by hand? Our sprinkler system will do a much better job, because a professionally designed system delivers exactly the right amount of water to specific lawn and garden zones. 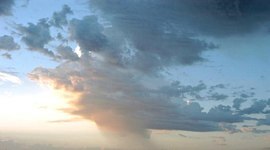 Pensacola has nearly 60 inches of rainfall annually, why do we need a sprinkler system? If it rained at your home every three days -- the same exact amount each time -- you probably would not need a sprinkler system. But Northwest Florida has extreme annual variations in rainfall and the only way to ensure a healthy, lush landscape is to make certain that your lawn and plants receive a regularly timed and evenly measured amount of water. In the dry season when there is little or no rain, your yard can suffer damage after just a few days without water. Are there different sprinkler systems from which to choose? 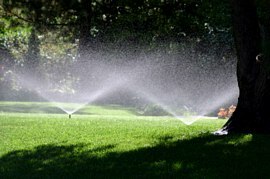 Yes, although every system is custom tailored to meet one’s individual needs, a typical Nature's Own system is comprised of a controller (which functions as the brains of the system), valves (which open and close to release and stop the flow of water to underground pipes) and sprinklers (which distribute water to specific areas). How do I know what type of sprinkler system is best for me? We will evaluate your unique situation (water source and pressure, soil type, planting materials, etc.) and then design a system specific to the needs of your landscape. Can I save money by installing my own system? No. In fact, it could cost you more money in the long run. Nature's Own will design and install the most cost-effective and energy-efficient system possible. You can be confident that we will use the best equipment for the job to keep your landscape in top shape. Nature's Own pays special attention to important factors such as sprinkler patterns (it is important to overlap the patterns so that the outer edges receive sufficient water for healthy growth) and backflow prevention (which is necessary to protect your drinking water). We are familiar with Escambia County plumbing and electrical codes, so you won't have to worry about costly pipe installation or wiring mistakes. I can't set the clock on my VCR, will I be able to operating my sprinkler system? Yes, it is very simple. We will help you select the best controller for your needs, and program it with your customized watering schedule. When necessary, you can change the watering schedule by simply following the easy instructions in the owner's manual. 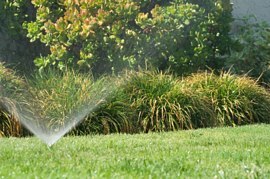 How much will a good sprinkler system cost? The price of a system depends upon many factors such as size of the property, type of landscaping, number of watering zones and other special needs. But you can count on Nature's Own to design and install the best sprinkler system for your dollar using professional grade components by Rain Bird, Toro and Hunter that will last for years with a minimum of maintenance. Will you be around to serve the system after it is installed? Yes, we service what we sell as well as other systems too. We are lifetime residents of Northwest Florida and will be here when you need us in the future. How do I adjust the sprinkler heads? They can easily be adjusted with a small screw driver. More info here. License / Insurance: We have contractor licenses in Escambia County Florida and Escambia County Alabama. Insurance: we carry two million dollars of liability insurance. We use only professional grade components from Rain Bird, Toro and Hunter that will last for years with a minimum of maintenance. 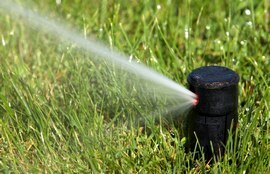 We service and repair all types of lawn sprinkler systems. We offer a 1-year system warranty, best pricing and service available, guaranteed. We have 16 years experience installing and serving sprinkler systems in Northwest Florida. Licenses and insurance: We have contractor licenses in Escambia County Florida and Escambia County Alabama. Insurance: we carry two million dollars of liability insurance. We pay attention to details and offer complete prompt and courteous customer care. Call today for a free no-obligation estimate.